December is a time when we learn about different ways to celebrate the holidays. We've participated in a Kwanzaa celebration led by Dee and a group of enthusiastic fourth-year students. 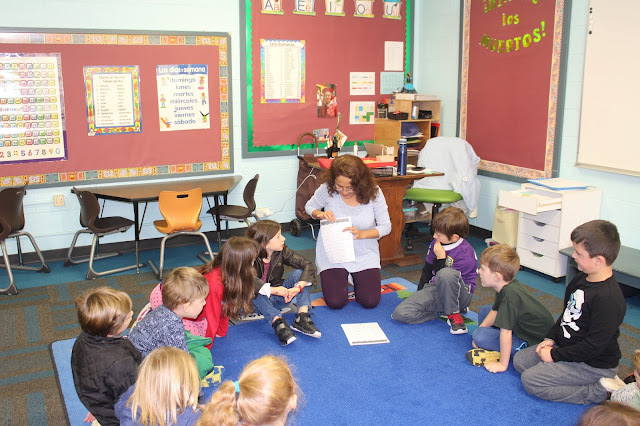 Students have learned about Hanukkah and played dreidel during math time. Dee read The Christmas Story. We also had a number of parents come in to talk about ways their families celebrate the holidays. These holiday sharings have included a Ukranian folktale, sharing about food traditions, making birdfeeders with pine cones, holiday book readings, and a fun reindeer craft. 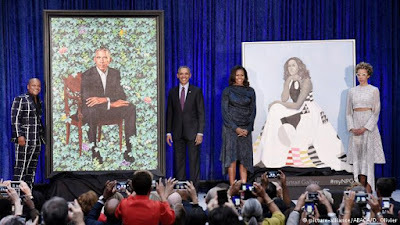 Check out the holiday slideshow at the foot of this post. 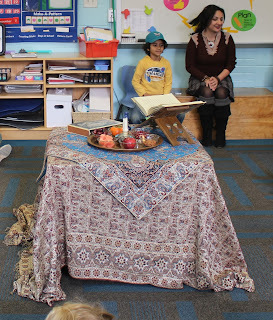 It's important and wonderful to learn about traditions from other countries and below you'll read about an Iranian tradition shared with us and written by Anita Ghajar-Selim, a River Class parent. Our latest endeavors in River Class have included participating in the Hour of Code, investigating owl pellets, and constructing towers using spaghetti and marshmallows. You'll find more details in the slideshow below. Music Sharing is a chance for students to share something musical from outside music class that is meaningful to them. 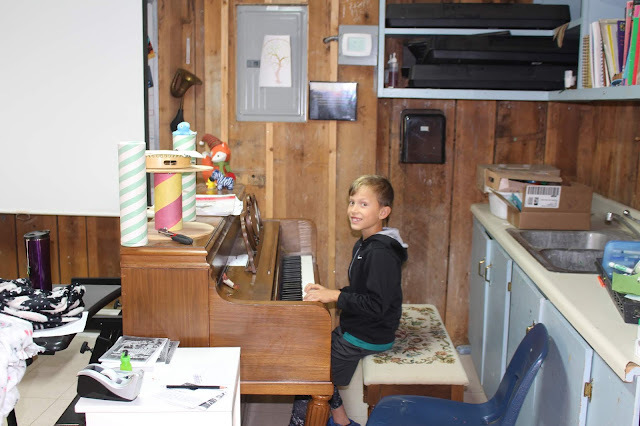 Some students bring in instruments, others sing a song or play a tune on the piano or a classroom instrument. With teacher permission ahead of music class, some students share their favorite song to listen to or even an appropriate music video. 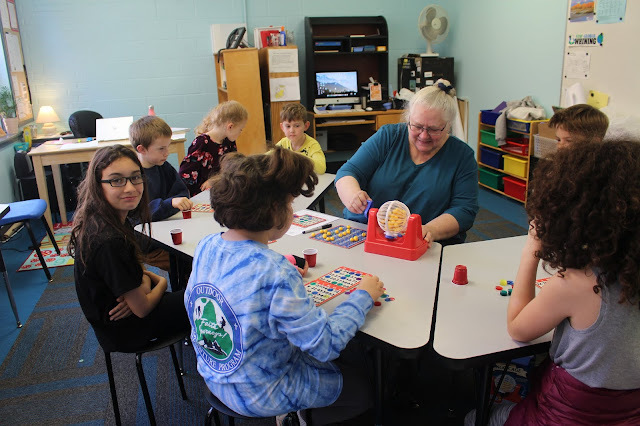 Though sharing is always optional, most students choose to share at least once during the six to seven sharing times we have throughout the school year. And some, unsurprisingly, share every time and would like to share even more often! Music Sharing helps students develop their listening skills and learn to be a polite audience member, and often students and teacher learn new things about the kids we see every day. 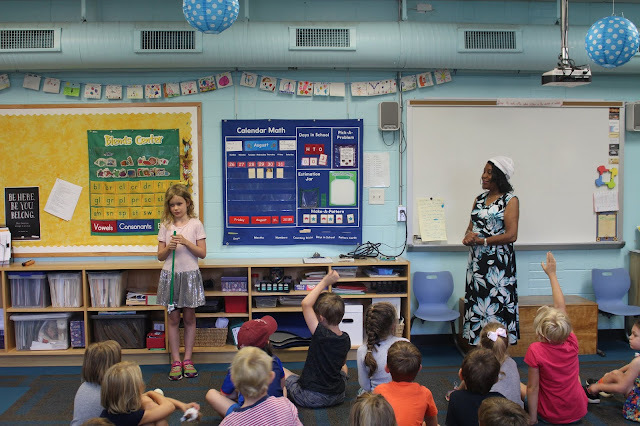 After their sharing, children may take two questions. One of the most common questions this time around was, "How are you so good at that?" 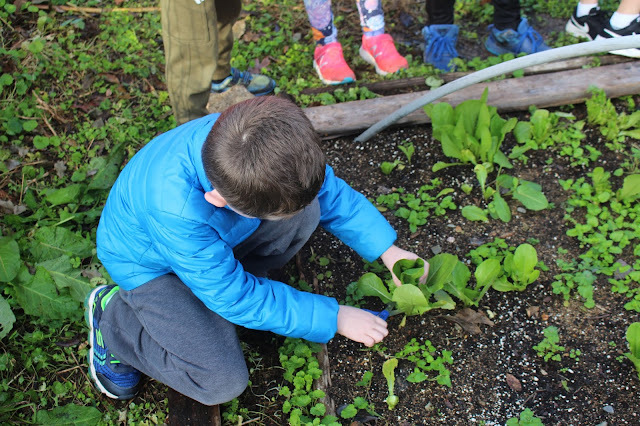 River students recently harvested romaine lettuce from our garden square. We were able to enjoy two salad bars from all the lovely lettuce we had grown. Many students opted in and happy parents reported a new enthusiasm around salad greens at home. 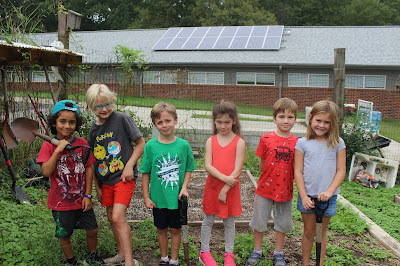 We have enjoyed the garden to table experience very much! to work on numbers and parts of the body. First-grade students are counting in Spanish and are working on identifying numbers up to 20. They have learned the days of the week and a song to reinforce them. 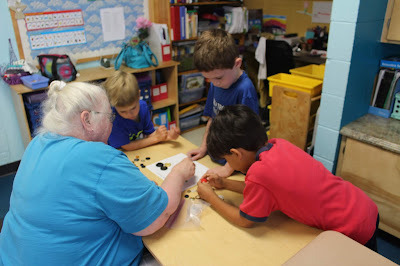 Second-grade students are working to identify numbers up to 60. They are also learning to count by tens to a 100. Whilst learning the days of the week, they learned how to identify the day before, yesterday "ayer." We have also enjoyed our cultural celebrations: National Hispanic Heritage Month and Day of the Dead. Over the next few weeks, we are going to work on the Spanish alphabet. Halloween was so much fun. 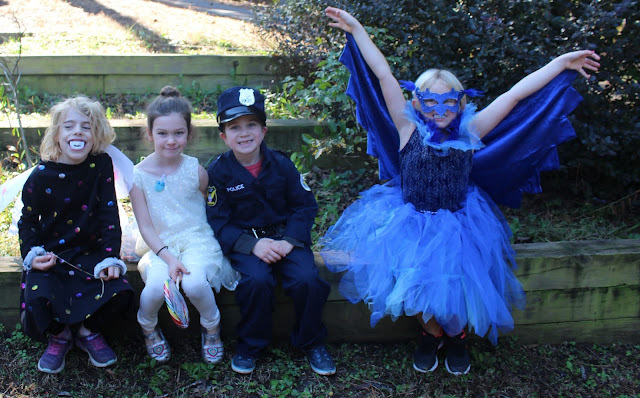 We enjoyed a hayride, Halloween math, a parade, a story, a play, and a party. Thank you to all the parent volunteers for making this such a fabulous, fun day! A slideshow with more pictures of our special day is coming soon. 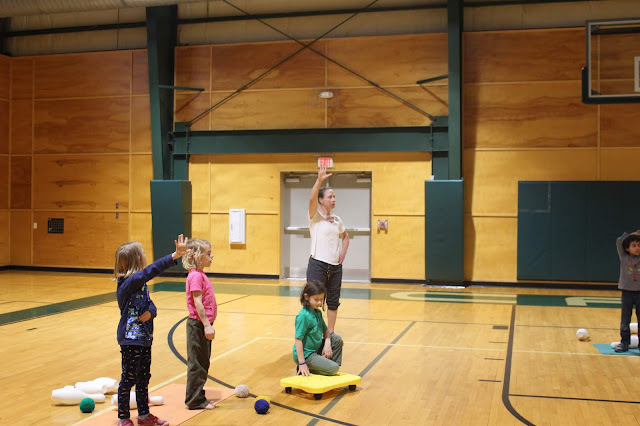 River Class students are divided into three skills groups after two or three weeks of being in school. We divide children up according to age, social needs, learning needs, and generally what seems to be the best fit. 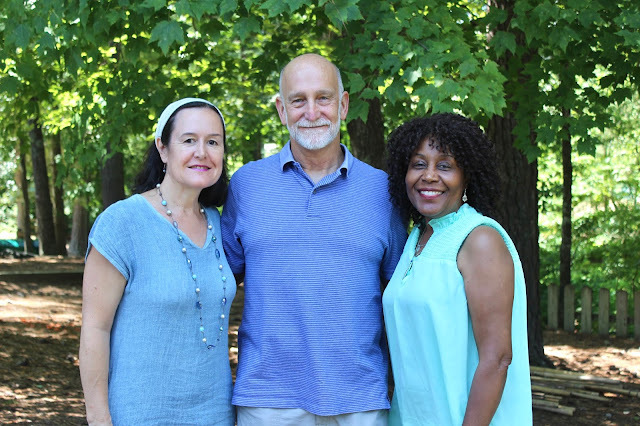 Charlie, Dee, and Ruth typically have a group of ten students each. Charlie usually works with the beginner readers and writers and Ruth and Dee will work with a mixed group of both first- and second-year students. For the past few years, we have celebrated students' birthdays by having three parties over the course of the school year. This guarantees that each child is celebrated at some point in the year and reduces the amount of sugar we would consume if we had individual celebrations. 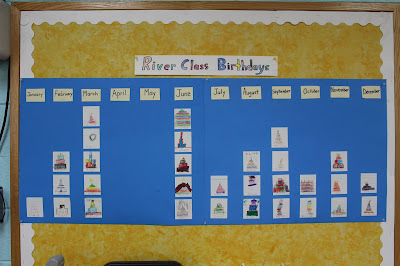 We have the children make a birthday graph (as pictured below) and then we divide up the children into groups of ten by referring to the graph. Before we made our paper graph we made a human one with the children. They learned about bar graphs and the number associated with each month. Our actual celebration involves the celebrants introducing themselves and telling us their birthday and age. Parents of the celebrants are invited to come and join the celebration and volunteer to bring gifts of food and/or time and support. Using queries to reflect on life experiences is a common Quaker process. When we speak from our own perspective, we offer others a chance to learn different ways of thinking. Instead of dictating a list of classroom rules, we used a query to elicit from the children how they would like to their school to be. 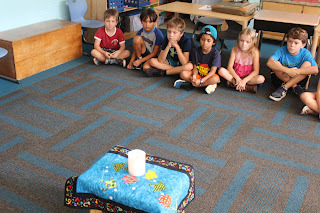 We asked, “What kind of community would you like River Class to be?” The children generated thoughtful, honest answers. Here’s what they said: Make friendsEnjoy school, have fun learningRespect each otherBe treated in a kind wayHave a positive attitudeSettle our differences peacefullyTake care of material and furniture in our classroom When students are given the opportunity to describe what they want, they often share insightful and meaningful reflections.